It sometimes seems like there’s a new brewery opening in the Twin Cities every month. Maybe that’s music to your ears, or maybe you’re starting to get brewery fatigue—but no matter which side of the spectrum you fall on, there’s no denying that Waldmann Brewery and Wurstery is a different kind of place to wet your whistle. 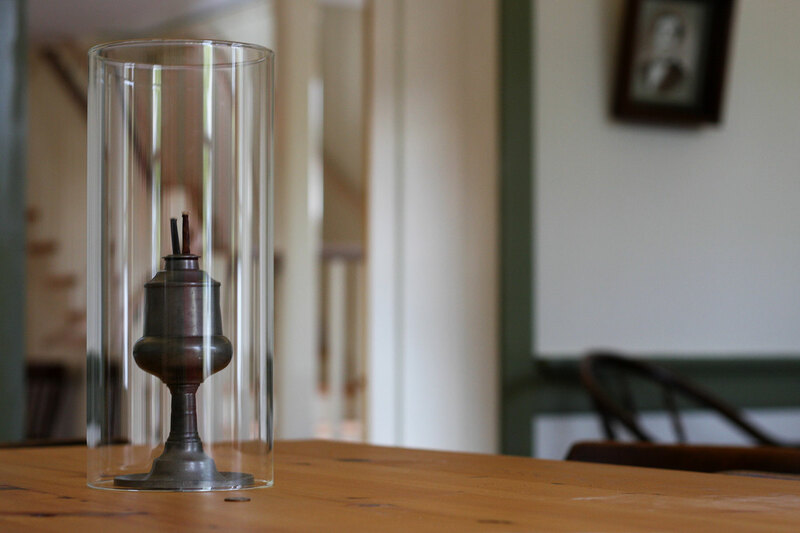 Opening October 1, Waldmann is a German American taproom with a very historical twist. Not only is it located in the same building where German immigrant Anthony Waldmann opened his “lager beer saloon” in 1857, even the beers themselves will be based on what Minnesotans were drinking in the Civil War era. For owner Tom Schroeder, deciding to open the business was a bit of serendipity. A self-professed history geek who has been involved with local preservation groups for decades, he had wondered about the strange little house on Smith Avenue near St. Paul’s High Bridge ever since moving into the Uppertown neighborhood in 1992. It was clearly very old and had some odd architectural quirks, but no one seemed to know much about it except that it was seemingly the last pioneer-era limestone building in the Twin Cities that had never been restored. In 2008, when the house had been left vacant and was slated for demolition, Schroeder—who had previously helped find owners for other historic properties on the chopping block—bought it himself with the intention of carrying out a historical renovation. He had no idea what kind of rabbit hole he would be falling down. When he dived into researching the house, combing through over a century and a half of records at the Minnesota Historical Society, he discovered that the property hadn’t originally been a house at all, but a saloon. Given that the building was a historic structure in a mostly residential area, there were a lot of hoops to jump through to make the dream a reality. Unlike Minneapolis, St. Paul had no historic-use variance that would allow a business to operate on a residential lot, so Schroeder set about lobbying for the law to be changed—one proposal and two years of review later, the way was cleared on that front. Then there was the separate process of getting official historic designation for the building. And of course, besides all the paperwork, bringing everything up to code while keeping the historic elements intact was its own challenge. 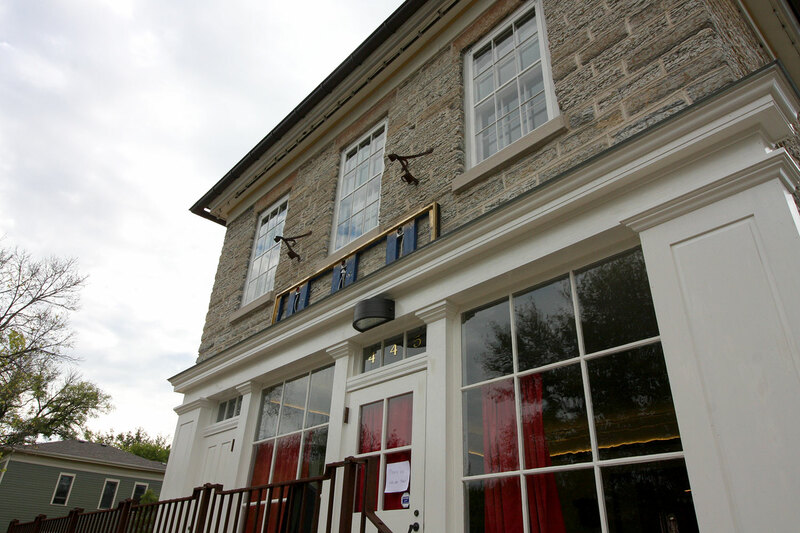 Schroeder raised over $60,000 in a Kickstarter campaign to help fund the renovations. It wasn’t until 2016 that large-scale work began. That work involved completely rebuilding much of the structure—which had been, in Schroeder’s words, “tremendously remuddled” over the past hundred-plus years—as well as creating an entirely new back addition, which houses the modern brewery, kitchen, restrooms, and HVAC systems. 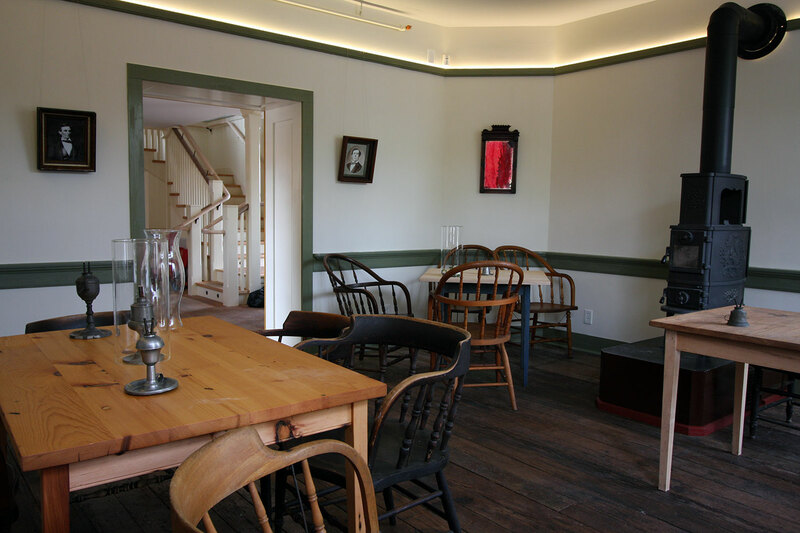 Although the original saloon operated only on the ground floor of the building, the upstairs space that was formerly the Waldmann family’s living quarters will be open to customers as well. 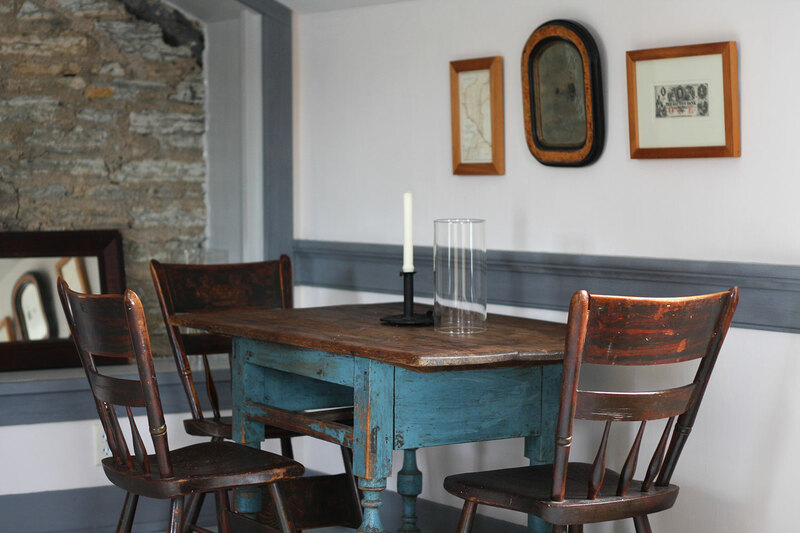 The paint colors have been matched to the original historic swatches discovered in the renovation process, and the furnishings are all as period appropriate as possible. The saloon even has a couple of antique wood stoves for some added coziness in the winter months. Schroeder hopes to strike the right balance of capturing the old-time ambience without the brewery feeling too much like a museum. The onsite brewing is one deviation the business is making from the original setup. “In the 19th century you were a brewer or you were a saloon owner, but the two never mixed,” Schroeder explains. But it’s the taproom model that makes the whole project financially feasible, and of course it gives the Waldmann crew complete control over the kinds of beer they serve. Because of the emphasis on lagers, the brewery area looks a bit different from what you might normally see. Ruggles will be using custom horizontal Criveller fermenters made specifically for lager yeast, which is bottom fermenting and doesn’t do well in vertical tuns. The beers will be decoction brewed and served straight from the tanks to the taps through an underground system, no kegging required. 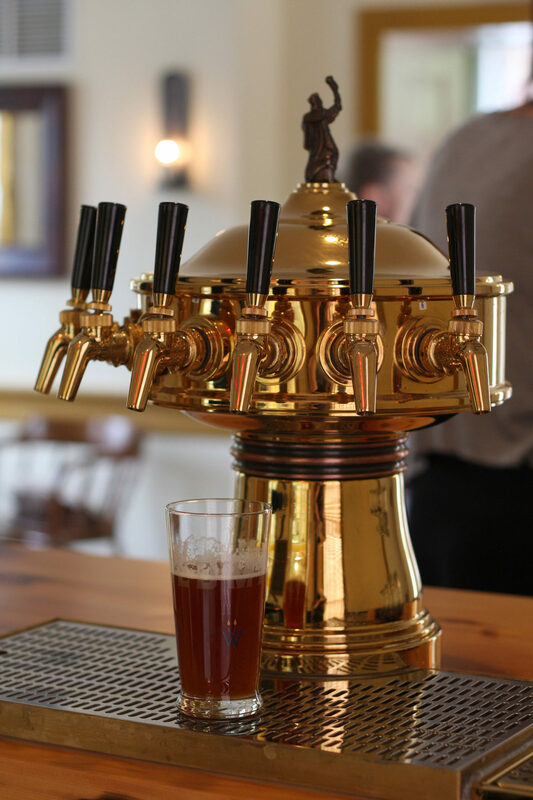 For nondrinkers, there will also be a rotating soda on tap at any given time, featuring old-time flavors like sarsaparilla, root beer, and birch beer. The food program, meanwhile, is headed up by former Seward Co-Op butcher Karl Gerstenberger. “One of the initial things that fascinated me was that the German-language newspapers in the original era that this business was founded had entire pages of advertisements for lager-beer saloons, and they were food forward,” he says. 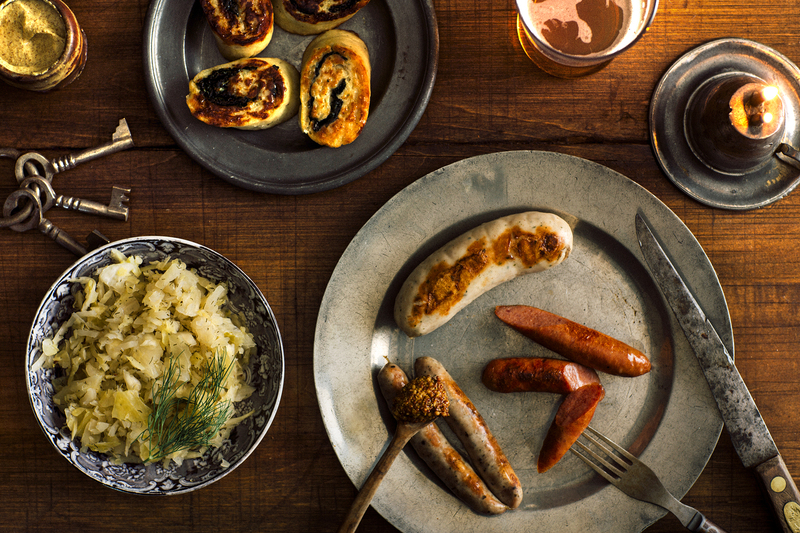 “So that’s what’s reflected in the business plan.” The menu is “deliberately simple,” in his words, built around housemade sausages with a variety of accompaniment options, from spaetzle and rolled dumplings to soups, salads, and sauerkraut (both hot and cold). Ingredients will be locally sourced. “We’re not hanging the ‘local foods’ moniker on the website or anything else; that’s just how I source foods and how I value being connected,” says Gerstenberger. Waldmann Brewery and Wurstery is located at 445 Smith Avenue in St. Paul. You can find it online at waldmannbrewery.com or follow on Facebook, Twitter, or Instagram. You can also read about the whole renovation process at stonesaloon.com. Love the pictures! I’ll have to check this place out.